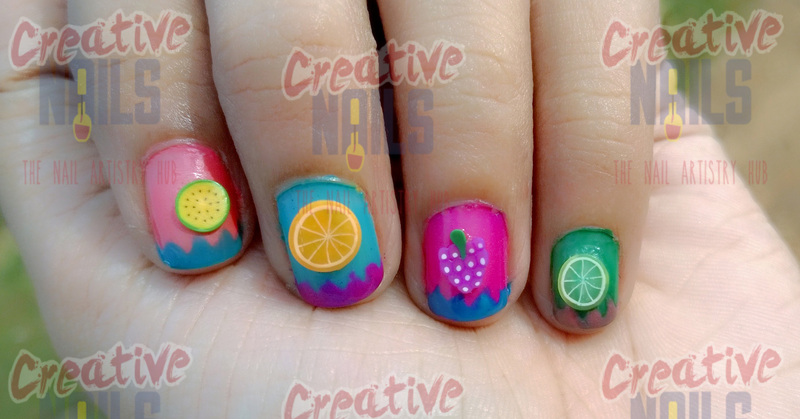 New Year with Fruits Nail Art! Enjoying the New Year with new resolutions? The Team at Creative Nails has also made a resolution – Eat Healthy and Stay Fit. As a first step to achieve this goal, we have bought fresh fruits. We thought of sharing it with you guys too! Have these fresh grapes, oranges and freshly prepared lemon juice…Dive deep into your Chillllaxx Mode! !